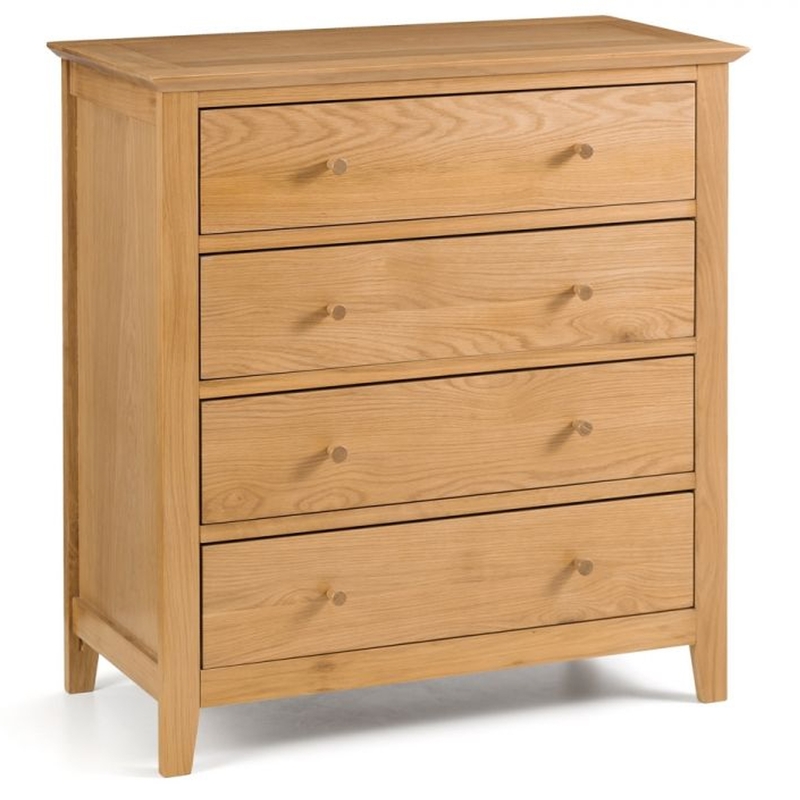 Make your home feel a lot more modern and furnished by introducing this beautiful Salerno Oak 4 Drawer Chest. This chest of drawers contains a very traditional style that's given a charming twist. This piece is created from a solid oak with real oak veneers, given a low sheen lacquer finish to enhance the beautiful colour and design.